Yes, it’s time for yet another Pub Quiz! So, brush the dust off your Trivial Pursuit box, refresh your memory and get ready to test your general knowledge. However, this edition will be a little different as it will include one or two rounds on trivia related to Christmas. As always, there will be plenty of great food and fun. 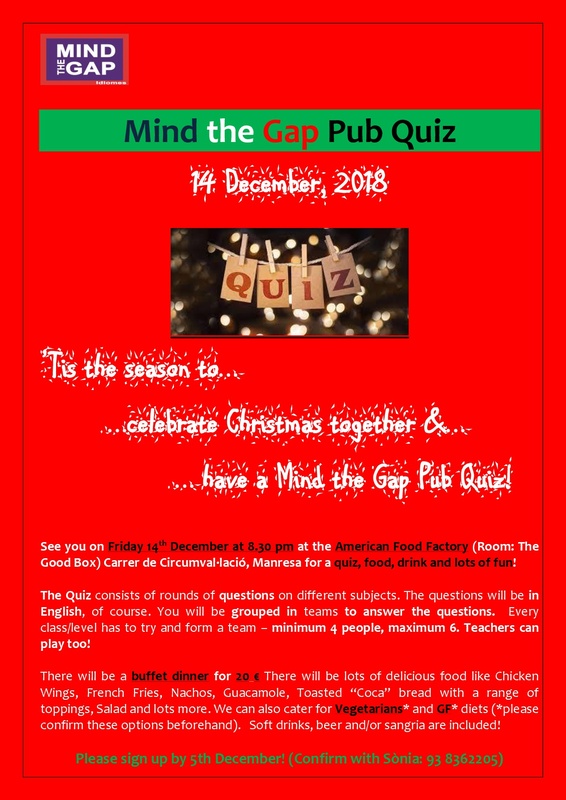 So, sign up for the Pub Quiz by contacting Sònia at Mind the Gap. (93836 0025) Save the date: Friday, 14 December!